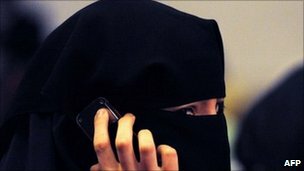 Police in Australia’s New South Wales state have been given more powers to remove burkas and other face coverings to identify crime suspects. The New South Wales government approved the changes at a meeting late on Monday. “I don’t care whether a person is wearing a motorcycle helmet, a burka, niqab, face veil or anything else, the police should be allowed to require those people to make their identification clear,” Premier Barry O’Farrell said. State police welcomed the change, saying it would “provide clarity and certainty for both the public and for police officers”. The Islamic Council of New South Wales said it accepted the move, while the Muslim Women’s Association said it had no problem if police handled the issue sensitively, including the deployment of female police officers. Japan’s Minister for Reconstruction Ryu Matsumoto has announced his resignation after just a week in the job. He had been widely criticised for making insensitive remarks to governors of areas badly affected by March’s deadly earthquake and tsunami. He had said the government would not help them financially unless they came up with good rebuilding proposals. The resignation will increase pressure on PM Naoto Kan’s already unpopular government, correspondents say. Last month Mr Kan survived a no-confidence motion brought by MPs critical of his handling of the reconstruction process following the quake, tsunami and ensuing nuclear crisis at the Fukushima Daiichi nuclear plant, says the BBC’s Japan correspondent, Roland Buerk. The prime minister is trying to persuade MPs to back an extra $25bn (£15.5bn) of reconstruction funds, and will not have wanted attention to be diverted by his minister’s comments, adds our correspondent. 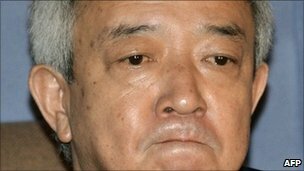 A moist-eyed Mr Matsumoto announced his resignation at a Tokyo press conference early on Tuesday, but gave no reason for his departure. “I have many things I would like to say… But I will be gone from now,” AP quoted him as saying. The 60-year-old made the offending remarks to regional governors during a tour of tsunami-hit prefectures of Iwate and Miyagi on Sunday. Mr Matsumoto also berated Miyagi Prefecture Governor Yoshihiro Murai for keeping him waiting. He then ordered journalists filming the exchange that it should not be broadcast, saying their networks would suffer if it was. The 11 March quake and tsunami levelled homes, businesses and towns along Japan’s north-eastern coast, leaving more than 20,000 people dead or missing in the country’s worst disaster since World War II. The pause in global warming from 1998 to 2008 was mainly caused by a sharp rise in China’s coal use, a study suggests. One man has died and a woman was injured in a crash involving a car and lorry on the main route between Glasgow and Edinburgh. 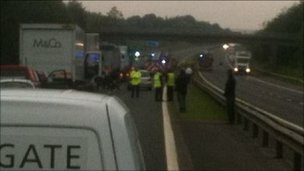 The M8 was completely closed near the Harthill services following the crash, which happened at about 0600 BST. The emergency services, including five fire engines, are at the scene. Diversions have been put in place. Westbound drivers were told to come off at junction 4 at Whitburn and eastbound travellers were diverted at junction 6. Iain Pope, the Daily Record’s digital editor, witnessed the crash. He told BBC Good Morning Scotland he was about 500 yards from the collision and saw the immediate aftermath. “What appears to have happened is that a lorry coming eastbound has crossed the central reservation on to the westbound carriageway and has struck a parapet under a footbridge and so the central reservation section has come away there,” Mr Pope said. Police have now opened the central reservation to allow traffic caught in the tailback to begin moving again. If you submit an image, you do so in accordance with the BBC’s Terms and Conditions. Former world champion Nigel Mansell warns Lewis Hamilton that it would be a mistake to leave McLaren. Bad debts held by local governments in China are a far bigger problem than first estimated, ratings agency Moody’s warns. Labour MPs are due to vote on whether to scrap the system of elections to the shadow cabinet. Under decades-old rules, Labour’s front bench in opposition is chosen through a ballot of its MPs every two years. 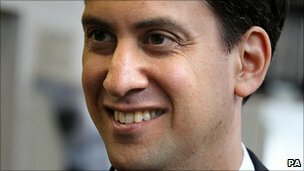 Labour leader Ed Miliband says the rules are a legacy of Labour’s past. He wants to choose his shadow cabinet. BBC political correspondent Gary O’Donoghue says there is some opposition to the change, but the measure is likely to go through. He said one senior MP has told the BBC that there is expected to be a serious majority in favour of the change, and possibly even a landslide. Our correspondent said this was not the equivalent of a clause four moment – when Tony Blair replaced Labour’s historical commitment to nationalising everything – but it would allow the Labour leader to say that he has begun to reshape the party for the future. The current shadow cabinet was voted in by Labour MPs in October 2010 – a month after a previous move to have a fully appointed shadow cabinet was rejected by the Parliamentary Labour Party (PLP). The PLP also rejected proposals from the party’s deputy leader, Harriet Harman, to make the shadow cabinet at least 50% women – instead settling for 31.5%. The Housing Minister Nelson McCausland has ordered an investigation into how contracts have been managed and monitored at the Housing Executive. Steerpike, the anti-hero of Mervyn Peake’s Gormenghast books, was influenced by the author’s visit to a concentration camp, the writer’s son says. Cuts have been made to support for families needing respite care in parts of Wales, figures obtained by the BBC have shown. Statistics gained under the Freedom of Information Act show nine councils have reduced how much they plan to spend. It has led to concern that vulnerable groups are denied support some carers call “light at the end of the tunnel”. The Welsh Government said it was up to councils to ensure they had necessary respite placements. According to figures provided by 21 of the 22 local authorities to BBC Wales, cuts have been made to defined respite budgets in Blaenau Gwent, Ceredigion, Neath Port Talbot, Newport, Swansea and Torfaen. In Carmarthenshire, Conwy and Monmouthshire, the overall residential care budget, which includes provision for respite, has been cut. In several other counties the budget for respite in 2011-12 was up on last year, but in some cases represented a cut on previous years. No figures were provided by Anglesey council. The figures show Swansea Council has cut its internal provision respite budget for older people and younger adults by over 80% in the last two years. In 2009-10 it spent over £680,000, but this year the budget is less that £108,000. Director of social services Chris Maggs admits the council is operating in a tough financial climate, but insists the changes will improve choice. “We’re faced with some incredible challenges as local authorities, and we obviously need to look at how we use all of our resources.” said Mr Maggs. The council has decided to transfer money from respite care into its own residential homes, who will provide short breaks in the future. “What we’re doing is re-using our money,” he said. But the potential changes have angered some families who depend on respite care. Suzanne Hayes, from Rhossili, near Swansea, is a carer for her 27-year-old stepson John, who has cerebral palsy. She described the six weeks of respite allocation they are given every year as “light at the end of a tunnel”, but she feels strongly that the family need more support. “John needs to have breaks because he can mix with different people,” she said. The short respite breaks also give the family time to recover while John is away. According to the charity Carers Wales, respite provision is already in short supply, but the cuts being made by local authorities will limit support even further. “For individual families if a respite service which they’ve relied on gets cut, that’s a real problem,” said director Roz Williamson. A consultation on the future of respite care in Wales has recently closed, following an independent review which said there was “a strong case for funding more outcome focussed respite services in Wales”. The Welsh Government said it recognised “the important role that respite care has in supporting individuals and families at what can be an extremely difficult time”. A spokesperson said: “We are protecting the social services budget through the local government settlement. Funding for social services will increase in cash terms by £35m by 2013-14. Welfare changes will see 60,000 people in Wales moved off incapacity benefits, with half leaving the benefits system with no jobs to go to, research claims. The report for councils suggests a £100m job creation scheme for 20,000 by the Welsh Government to plug the gap. The Welsh Government says it is committed to a new employment programme for young people. The UK government’s Department for Work and Pensions said it would not leave anyone “trapped on benefits”. The Sheffield Hallam University report by Prof Steve Fothergill and Christina Beatty will form part of discussions at a conference on the employment prospects for the valleys in Merthyr Tydfil on Tuesday. It was commissioned by the Industrial Communities Alliance, which represents councils in some of the most deprived areas in Wales. The research claims that the UK government’s welfare change programme will not help get more people in Wales into work unless there is a significant increase in the number of job opportunities. BENEFITS AND WORKLESSNESSAcross Wales 300,000 men and women of working age are out-of-work on benefits.More than 180,000 of these are on incapacity benefits.The Valleys have the highest benefit claimant rates not only in Wales but also in Britain.In Blaenau Gwent and Merthyr Tydfil, one-in-four adults of working age are out-of-work on benefits.In most of Wales the root cause of worklessness is a shortage of jobs.Prior to the recession, the numbers out-of-work on benefits were falling, and falling faster in Wales than in Britain as a whole. The recession brought a halt to progress.To bring the employment rate in Wales up to the level in the best parts of Britain would require an extra 170,000 residents in work.The Valleys alone would need 70,000 more in work. It urges the Welsh Government to act by establishing a programme directly targeted at those who stand to lose their entitlement to benefits. 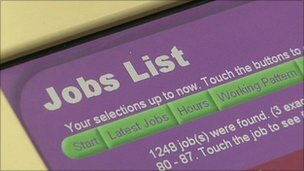 It says that the reason for Wales having a higher number of working age people claiming benefits than the rest of Britain is down to a shortage of jobs. In the conclusions to the report, the authors write: “Every effort should be made to promote a private sector revival, and regional economic development in the valleys and elsewhere must be central to these efforts. “But the scale of the job shortfall means that in the short run there is a powerful case for a job creation scheme. The researchers say the annual upfront cost of providing 20,000 jobs for those previously claiming incapacity benefit would be about £260m, but the net cost would only be around £100m. They also calculate that to bring Wales’ employment rate on a par with the average in more prosperous parts of Britain would require 170,000 more people in work, with 70,000 more jobs needed in the valleys alone. Work and Pensions Secretary Iain Duncan Smith’s suggestion that the Merthyr jobless should get on a bus to Cardiff to find work is also criticised. The report says: “Worklessness in the valleys is unlikely to be reduced much by job growth in Cardiff. Peter Slater, director of the Industrial Communities Alliance in Wales, said: “The long-term solution to worklessness in places like the valleys is a revival in the local economy, and in particular a rebalancing of the economy in favour of manufacturing and services in Wales. But delivering this takes time, even with the right policies in place. A Welsh Government spokesperson said: “Getting people into jobs, and trying to keep people in their jobs, is a very important part of our programme of government. A DWP spokesperson said: “We will not leave anyone trapped on benefits – that’s why we are reforming the system to ensure work will always pay, and replacing incapacity benefit with employment and support allowance. Baidu, the biggest web company in China, will partner with Microsoft to provide English-language search results. English search queries will be directed from Baidu to Microsoft’s Bing search engine, the Chinese company said in a statement late on Monday. Baidu dominates search in China with more than 75% of the market. The move is aimed at increasing Microsoft’s small web presence in the biggest internet market in the world. 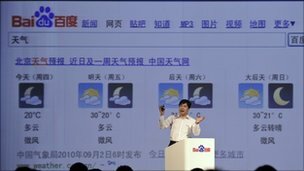 Baidu said that it expected the service to start later this year. The two firms have already co-operated on mobile platforms and page results. Some analysts say this partnership is aimed at taking market share from Google, which has already retreated from the Chinese market because of a censorship spat with the government. Despite that Google is still the second biggest search engine in China. “The co-operation between Baidu and Microsoft will further strengthen Baidu’s dominance in China’s search engine market, and will also make Google’s business in China more difficult,” said Dong Xu, an analyst with Analysys International. The allegation a private investigator working for the News of the World hacked into murdered Milly Dowler’s mobile phone dominates the papers. The Guardian says as Milly’s friends and parents left messages, “the News of the World was listening and recording their every private word”. For the Financial Times, this may be a turning point in the hacking scandal. The Times thinks the public will be angered that the family’s agony might have been exacerbated by journalists. 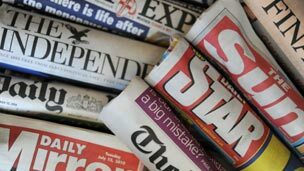 Both the Guardian and the Independent believe the claims are likely to put new pressure on the chief executive at News International, Rebekah Brooks – who was editing the NoW at the time. “She has some explaining to do now”, the Independent’s Ian Burrell says. He predicts a “colossal step change” in the way the authorities and the public regard the scandal. “No longer can phone hacking be written off as merely a shortcut ruse for accruing celebrity gossip”, he says. In other news, the review of funding of care for elderly people in England is praised by the Financial Times for coming up with “sensible answers”. But the Daily Mail brands the ideas “grotesquely unjust”. For the Daily Mirror, the suggestion pensioners might pay national insurance would amount to a “granny tax”. The Daily Telegraph says it is hard to envisage any government imposing new taxes on 11m pensioners who also happen to be “the most assiduous voters”. Finally, the Guardian’s assistant editor Michael White is underwhelmed by London’s new statue of Ronald Reagan. He reckons it’s “too formal and stiff to be right” for a president who was “perhaps the most easygoing man ever to occupy the White House”. And the stresses of being a BBC weatherman are told in the Telegraph. The paper says Jay Wynne has confessed after a night shift he sometimes drives around, “waiting for the sun to come up”, to see if his forecast is correct.